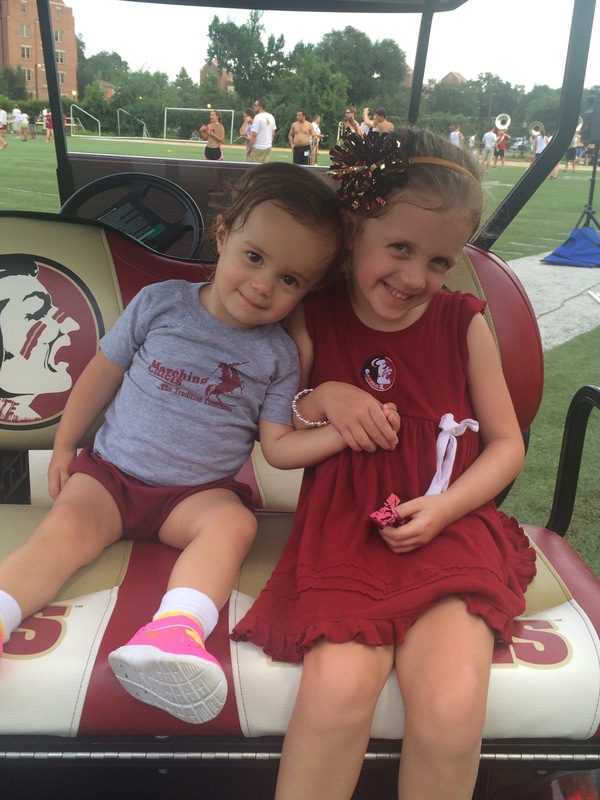 Today we are headed down to the sunshine state to hear from Director of Athletic Bands at Florida State, David Plack. The Marching Chiefs have continued to gain fans each season with their high energy halftime shows and this year will be no exception. How many years is this now for you at FSU? What are you looking forward to the most this season? I am in the unique and very special position of having been a member of the Marching Chiefs, a two time graduate assistant with the Marching Chiefs, and now in my current position as Director of Athletic Bands. In total, I will begin my 22nd year of involvement with this special organization. Along with my very good friend and colleague, our Director of Bands, Patrick Dunnigan, we have teamed, partnered and directed the Marching Chiefs for the last 12 years. 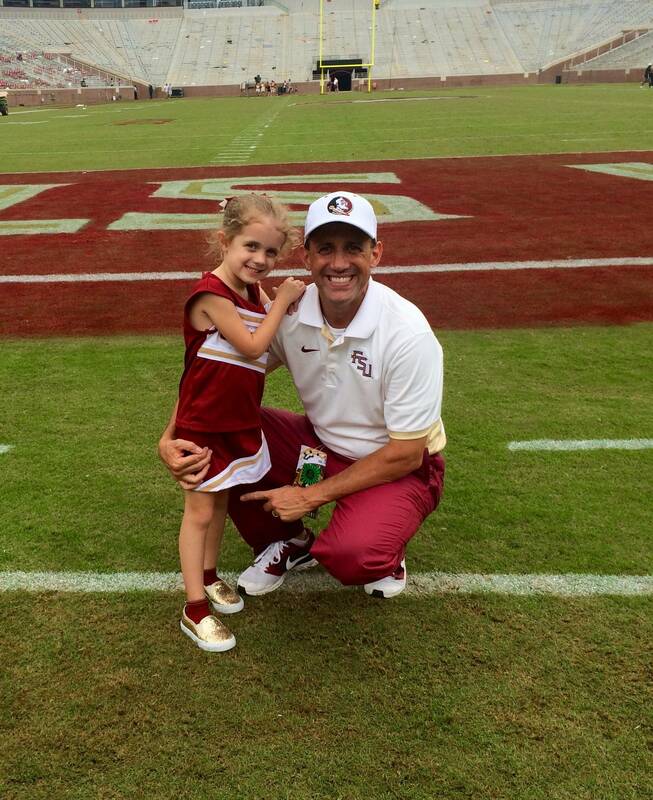 This next year will be his 26th year at FSU, which shows remarkable loyalty and dedication needless to say. Everything for us is about a week later this season as FSU wanted to line up our academic calendar with our local schools. So, our undergraduate staff of 20 will report on Monday the 15th followed by our section and row leaders on the 17th. It really all begins on the 19th as that is the date when all of our prospective new members and auxiliaries, It is also the first day of auditions for the drum line. On Sunday the 21st, our veteran members will report back. This is all followed by several days of marching evaluations culminating that Wednesday with Final Evaluations. The Block List is announced on that Thursday and we are off and running with sights on our Labor Day game against Ole Miss. Like most college bands, it all happens very quick which I think most fans do not quite realize. As for my favorite part of our preseason training, while we have several special traditions that we prefer to keep sacred, my favorite moment is what we refer to as March Over. I am sure I speak for Patrick Dunnigan on this as well. This is the culmination of several days of marching training and takes place right before our Final Evaluations. The new members perform a “show" for the veteran members (including their first downfield Fight Song) and the veteran members then perform for the “rookies.” It ends when both the rookie and veteran blocks combine into one. Very symbolic and very special tradition that has lasted several decades. We will open up the season in Orlando on Labor Day night against Ole Miss with the full band (and we are very much looking forward to seeing their terrific band) and will travel down to Ft. Lauderdale for the Miami game with the full group as well. We do have a pep band planned for our game in Tampa against USF. Of course, we will travel with the full band in the postseason as well. As for halftime plans, we can share with you plans to do a high energy Latin show including El Toro Caliente and Caravan, hits from the super group Queen, and coming off the popularity of the live FOX production, we’ll bring Grease to the field. We have a few other shows planned as well to fill out the season. If there was one other band in the country that you'd love to host at FSU who would it be and why? Being simply a fan of college football and the pageantry that comes with it, I have loved hearing the Notre Dame band play their Fight Song when they have visited Doak Campbell Stadium. It’s special. That said, I would love to hear the Michigan band play The Victors here in Tallahassee. Of course, there are quite a few other bands around the country I would love to sit back and enjoy but I have to go with tradition and these two fight songs in this case. Your family is a huge part of your life and they are regulars in your social media posts, how much does the band mean to them? My social media posts are 90% my kids and family, yes. Those that know me know I simply love being a Dad. I have colleagues in our profession who also have kids and the fact our kids get to grow up in and around “band” is extraordinary. Having them at a game or rehearsal and seeing their interaction with all sorts of members of the Marching Chiefs makes my heart swell more than I can say. As much as I love being a Dad, affording my girls these opportunities makes it that much more special. Whether it’s having them on the sideline during halftime, on the tower during rehearsal, or even hearing our women’s basketball coach shout their names to them as they watch the Homecoming parade pass by, it simply makes this already awesome job even better. Of course, I am extremely lucky to have an amazing and supportive wife who understands the uniqueness and special demands of a career in "athletic bands." Simply put, I am blessed beyond words to do what I love with incredible and inspiring students and second-to-none colleagues, at a school I love, all with my family at my side.